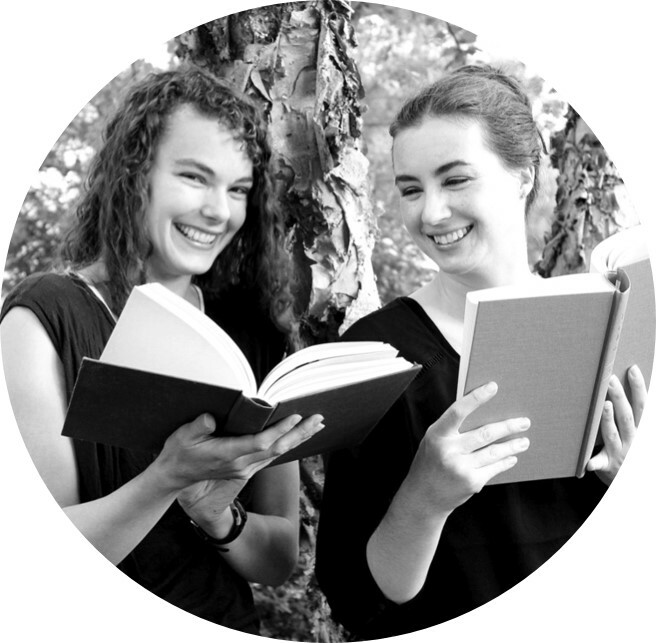 This post is filled with great reads and strong female leads. The girl assassin, though tougher than most in many ways, also seems to have an underlying vulnerability that lends a great deal of richness to her character and the novel as a whole. 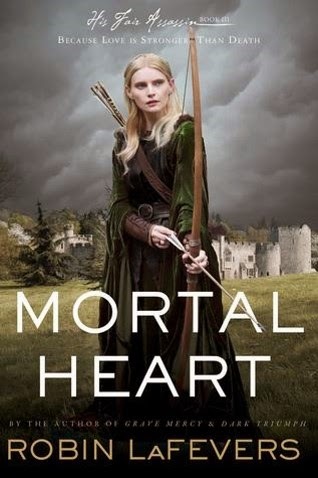 Mortal Heart is Annith's story and the third and final installment in Robin LaFevers's His Fair Assassin trilogy. Annith, like her sisters, has been trained to be Mortain's assassin. The Abbess wants her take over the role of seeress. For Annith, who has been itching to leave the convent and use her acquired skills, this is the last straw. She cannot be trapped at the convent forever. So she leaves under the cover of night. Mortal Heart has a lot of pieces to put together in order for the whole trilogy to make sense. And wow. Some of those secrets were huge. I appreciate the intricacies of the world that Robin LaFevers created and the melding of the historical and the fantastical. Juliette has been in prison for 274 days. Her touch is lethal, and she was imprisoned for accidentally killing someone. Juliette lives in a collapsed world that was recently taken over by the Reestablishment. The Reestablishment sees a lot of potential in Juliette and wants to woe or coerce her into being their weapon, the ultimate assassin. 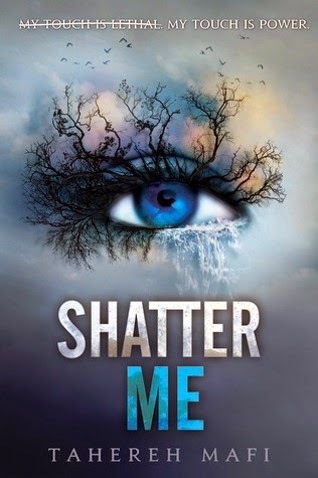 I must admit that I was disappointed with Shatter Me. I think maybe my expectations were too high. I walked away from it feeling rather indifferent. For me, the language in this book (lots of metaphors and superlatives) was perhaps a little over the top. However, it's probably just me. I know many who love Tahereh Mafi's series. Twylla is Lormere's executioner. As Daunen Embodied, her skin kills on contact. She is subject to the whims of the queen and must kill on her demand. Things begin to change when Prince Merek returns from progress, and Twylla gets a new guard, Lief, from Tregellia, a country often at odds with Lormere. First of all, I must say, this cover is amazing. The Sin Eater's Daughter is a twisty little fantasy. It has a gloriously crafted religion, a ruthless, scary queen, two potential love interests, and it really surprised me. I really liked Melinda Salisbury's debut. The reviews seem to be all across the board on this one, but I'd read the sequel tomorrow, if I could. 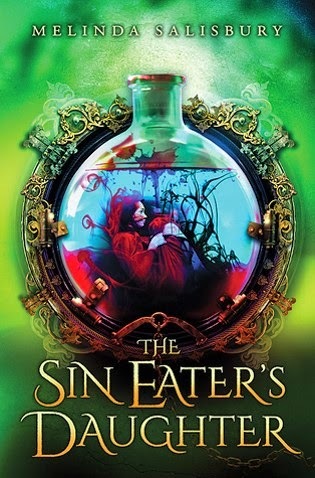 The Sin Eater's Daughter was out March 1, 2015. Review copy from Edelweiss. 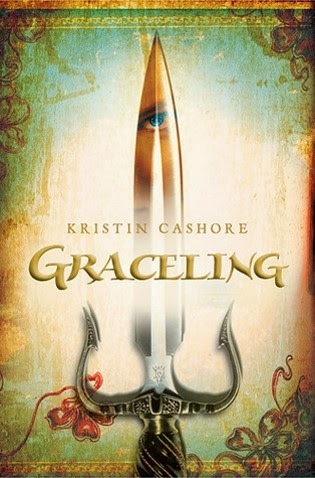 Kristin Cashore's Graceling is one of my very favorite fantasies. Katsa lives in a land and time where a few people have developed super-human gifts called Graces. Katsa's has a killing Grace, and she's been a pawn of her uncle, the king, for most of her life, but lately she's begun to rebel, forming a Council that attempts to help instead of hurt people. On one of these Council missions Katsa meets a man who will change her life. I love Katsa. Her power and determination are awesome. I also love Po. Cashore's physical descriptions of this intriguing character with gold and silver eyes are superb. But what I really admire, is that Po didn't just aid in Katsa's growth, he also faces challenges that force him to change. Celaena Sardothien is Adarlan's greatest assassin. Well, that was until she was captured and sent to the salt mines of Endovier. Her fortunes reverse when the Crown Prince, Dorian, picks her to serve as his champion in a competition that could win her freedom. I love the complexity of Sarah J. Maas's world. Although we spend most of the book at the palace, there is plenty of action. In Celaena's is both prickly and so vulnerable, and I really felt how her experience in the salt mines affected her psyche. I also really liked Nehemia and Captain Chaol Westfall. While, it's clear the book is setting us up for a love triangle, I have no doubt who I'm routing for. 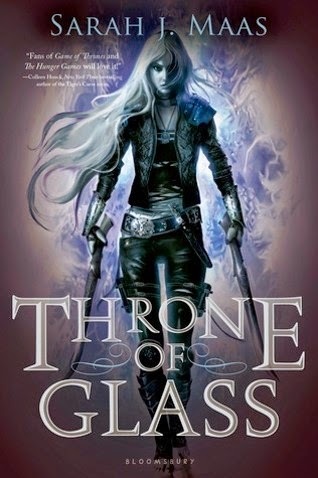 I finished Throne of Glass eager to pick up the next in the series, which is always a good sign. Oh man, I loved Graceling, Throne of Glass, and The Sin-Eater's Daughter! I want the sequel to that too :) Haven't read the other two books but I have Grave Mercy and Dark Triumph at home. Morgan - Those three have got to be some of my top favorite books ever too. I'm listening to the sequel to Throne of Glass right now. :) I hope you like the His Fair Assassins trilogy too. I'm going to do a Series Salute post on that series too (spoiler: Dark Triumph was my favorite of the three).